There are a number of benefits of hiring an attorney for a DUI charge in Maryland. One advantage is that they know the law and have a working knowledge of the legal process. In today’s world the internet provides us with a wealth of information, some of it is accurate and some is not. When it comes to DUI defense it is always advantageous to hire our Columbia MD DUI defense lawyers. If charged with a DUI in Maryland you may be eligible for some alternative sentencing options or perhaps plea options that will make the consequences not as severe. 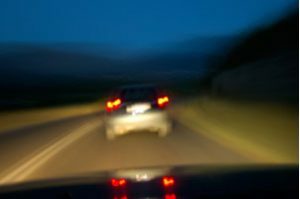 Attempting to plead down a DUI offense to a reckless driving alcohol related traffic offense is quite common in Maryland. A skilled, experienced and competent Howard County DUI defense attorney can help decide if this option may work for you. Our Columbia Maryland DUI defense lawyers need you to know that you do not have go through a drunk driving charge alone. It is not the end of the world but it is to be taken seriously. Mr. Turnbull, his associates and staff fully grasp the fact that you may have made a one time bad decision or suffered a lapse in judgement. He will do his best to convey to the judge and the prosecution that you are a good person who made a bad decision. Was There An Auto Accident: If there was an auto accident involved in your DUI, even if it was not your fault, there is minimal chance of having DUI reduced to Reckless Driving Alcohol Related. If your DUI charge is reduced down to a Reckless Driving Alcohol Related the penalties differ slightly from Maryland DUI conviction penalties. If you have a prior Maryland DUI you may still be able to plead it down to ‘wet reckless’ but the chances are greatly reduced, especially if the 2 arrests were close together. A ‘wet reckless’ conviction carries with it the same consequences as a normal reckless driving conviction. The primary difference is that in a Maryland Reckless Driving Alcohol Related conviction you will have to successfully complete a state mandated and state approved alcohol education/treatment course. Aside from not having a DUI conviction on your driving or criminal record the biggest benefit of pleading down to ‘wet reckless’ is that your license will not be suspended or revoked as with a DUI. This alone can help to keep your life more manageable on several levels. Having your Maryland DUI charge reduced to a ‘wet reckless’ is not as easy as it sounds. It is typically something you cannot do on your own without the aide of an attorney. You can ask for it but the odds are substantially less without the expertise of a lawyer. Also, should your request be denied you stand to lose a lot if convicted of DUI or DWI in Maryland. Suddenly things you took for granted such as your employability, your capacity to earn a living, caring for your children, getting to school and living an independent lifestyle are all jeopardized. This is due to the heavy financial and administrative strain of a DUI conviction. A DUI conviction carries with it mandatory license suspension. Losing your driving privileges alone can turn your life upside down. Retaining our Columbia MD DUI defense lawyers makes sense and will help you immensely. Working with our team of Howard County, MD DUI lawyers is very beneficial regarding your DUI case. They will plan a strategic and sound defense for you and they will make sure your rights are protected every step of the way. Call our Columbia MD DUI defense lawyers at (410) 321-8860 for a free case review. With many years serving those charged with DUI in Anne Arundel, Baltimore, Harford & Howard County, MD our Columbia DWI attorneys will aggressively protect for your rights while attempting to minimize the consequences of your drunk driving charge.